Sea lions, iguanas, giant tortoises and other animals and insects (not including birds). 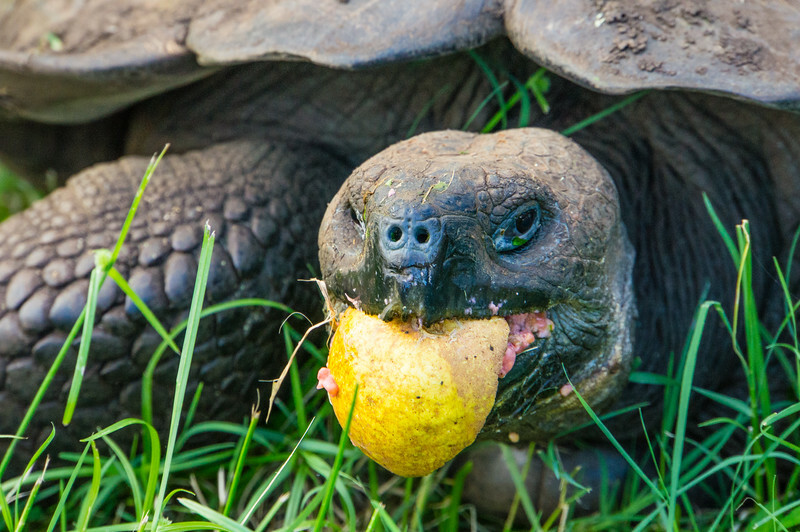 This female galapagos giant tortoise if enjoying a piece of fruit. Photographed on the El Chato tortoise reserve in the highlands of Santa Cruz Island in the Galapagos.